Have you considered purchasing some fish and making your own fish pond? If so, one of the types of fish that you may want to put in the pond is koi. While these fish originate in Asia, they are not just popular in Asian countries today. These lovely koi are becoming more popular all over the world today. Many people love these fish because of their amazing beauty and the brilliant and diverse colors that they present. However, it goes far beyond the looks of the fish if you look into the koi fish color meaning. You’ll find that the fish themselves have deep meaning and symbolism, as do the colors of these wonderful creatures. Give your pond even more meaning by taking a look at some of the legends behind these fish and the koi fish color meaning. Before looking at the koi fish color meaning, it’s a good idea to look at some of the symbolism of these amazing fish. In Japan, they are seen as a symbol of good fortune, luck, friendship, and love. Within the Buddhist religion they symbolize courage. There is a legend about the fish climbing the falls of the Yellow River. This is an old Chinese legend that points to the fish being symbolic of advancement. Still today they are considered to be symbolic of advancement materially and spiritually. If you think about these legends and the rich symbolism behind the koi, they’ll definitely mean a lot more to you when you add them to your own garden pond. Now that you know a bit about the symbolism and legend behind these fish, it’s a good idea to take a look at the koi fish color meaning as well. Before you even pick out the fish that you want, it’s nice to learn more about their coloration and what the different colors really stand for. You’ll find that koi colors can relate to families. After all, they are symbolic of friendship and love, which is important in families. 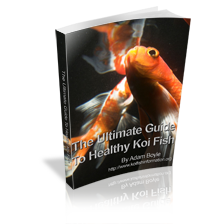 With regards to families, the koi fish color meaning has to do with various family members. Certain colors represent certain members of a family. For example, fish that are white and blue stand for a son in the family. Then you have the beautiful red and pink koi. The koi fish color meaning of the red and pink one is the daughter of the family. The vibrant flame red koi is symbolic of a mother within the family, and the father is represented by the black koi. When it comes to koi fish color meaning, not all the colors have to do with the family. Various colors symbolize other things, such as wealth, friendship, or success. One type of koi is the Ogon, which is platinum colored. These fish almost look metallic and it’s easy to see why they are symbolic for fulfillment in wealth and wealth. They are also known to mean that you will be successful in your business. For this reason, many people who have a business will add a koi pond full of this specific type of fish. Yamabuki is another type of koi and this koi has a gold color. It stands for gold, wealth, and prosperity. The Asagi koi happens to be the oldest type and their color is a mix of gray and blue. Some even come with a belly that is colored red. These koi are one of the most colorful options and the koi fish color meaning in this case is that your life and everything in it is going to be good. 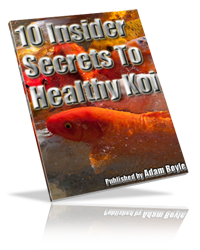 No matter what color of fish that you have in your pond, you’ll find that the meaning of koi fish color meaning is always going to be something positive. This means that adding any color of these fish to your pond is a great idea because they are sure to have a positive meaning. You may even want to add a variety of different colors to your pond so you can enjoy a variety of different meanings. Now that you know about the koi fish color meaning of various types of fish, your pond will have even more meaning. Think about the colors and what they mean before you choose your fish. Then choose fish with a meaning that you really like. Take care of these incredible koi and you’ll be able to enjoy them and everything they symbolize.